Richard J. Klein, DDS, DICOI, Chairman of the Board/CEO, has a wide range of professional experience, as well as an impressive medical and surgical background. He is the sole or co-owner of several successful businesses, including Now Dental of Suffolk, a well-established multi-specialty dental practice in Smithtown, NY. As an angel investor in Biohorizons, Dr. Klein was instrumental in the establishment of a European distribution channel, and in the support of this channel through professional academic training centers. Dr. Klein has provided the seed capital necessary to build and support Kantian. Jonathan E. Klein, BS, President, received his B.S. in Business Administration with a focus in Marketing and Management from The University of Albany in 2005. From 2006-2010, Mr. Klein gained valuable experience in corporate sales, marketing and business development with Metropolitan Life, JP Morgan Chase and Wachovia. He has also worked with various companies as a marketing consultant, specializing in customer acquisition, prior to taking on a full time role with Kantian. Mr. Klein is primarily responsible for the establishment of the Company’s various marketing & business development initiatives referenced herein, as well as the day-to-day management of the Company. Jon E. Klein, BS, Co-Founder/President, is Kantian's managing partner, focused on creating and implementing marketing and business development initiatives to continually drive company growth. He is an entrepreneur with expertise in e-commerce, direct response marketing and online marketplace channels including Amazon.com. Jon is experienced with customer acquisition and retention via online media channels: social media marketing, search engine marketing (paid & SEO), e-mail marketing, and online display advertising. 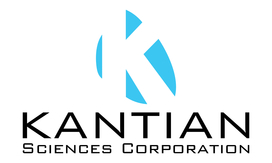 Richard J. Klein, DDS, DICOI, Co-Founder/Chairman, is Kantian's seed investor, responsible for company finance as well as overseeing all research & development initiatives. He is the owner of a successful multi-specialty dental practice in Suffolk County, NY, and has an impressive medical and surgical background. Dr. Klein is a serial entrepreneur and investor in multiple start-ups and early stage companies. He was instrumental in the success of professional education programs for BioHorizons, Inc. (BHZN), which supported their international growth. David R. O’Connell, BS, Digital Marketing Consultant, is owner of digital marketing agency D.R. O'Connell & Co. He served as Director of Marketing for a major online direct response retailer (making the Inc 5000 five years in a row), where he designed and executed strategies responsible for delivering high double-digit annual growth, and profitably generated hundreds of millions in revenue. David is focused in the areas of interactive advertising, internet retail, direct response marketing, and business analytics. He is experienced with customer acquisition and retention via online media channels. David serves an impressive client portfolio in the areas of social media marketing, search engine marketing (paid & SEO), e-mail marketing, and online display advertising. Edwin D. Schindler, Esq., Patent Counsel, is a well-established and experienced Patent Attorney with a strong background in chemistry. As of today's date, he is listed as Attorney on 632 U.S. patents, having prosecuted, in whole or in part, at least 2,000 U.S. patent applications for his own clients and clients of other firms, both domestically and in Europe, Australia, Israel, Japan and Singapore. Ed is also listed as Attorney of Record for 310 trademark applications and has prosecuted many more for other firms over the years. George E. Deckner, Product Development Consultant, retired June 2013 after working at Procter and Gamble for 26 years in beauty and oral care product development. At P&G, George was considered one of the top formulation, material science, and active delivery experts in the company. George was appointed a Victor Miles Research Fellow in 1991. The Victor Miles Society recognizes those outstanding technologists whose innovations have led to significant business contributions throughout their careers at Procter and Gamble. There are currently 18 active members out of a total R&D staff of 9000. While at Proctor & Gamble, George was one of the top inventors, with 354 granted and filed global patents (201 U.S. patents). George is a current member of the Society of Cosmetic Chemists and writes a column on formulation technology for UL prospector web site. He is a frequent guest lecturer for numerous key global suppliers, as well as local and national SCC meetings. retired June 2013 after working at Procter and Gamble for 26 years in beauty and oral care product development. While at Procter and Gamble, he worked in skin care product development, global fragrance development, and most recently oral care technology development. At P&G, George was considered one of the top formulation, material science, and active delivery experts in the company. George was appointed a Victor Miles Research Fellow in 1991. Formed in 1990, The Victor Miles Society recognizes those outstanding technologists whose innovations have led to significant business contributions throughout their careers at Procter and Gamble. It is the highest scientific and technical honor that can be bestowed upon a company technologist and society members are recognized by their peers as leaders in their fields and provide an unequivocal standard of achievement in technology. There are currently 18 active members out of a total R&D staff of 9000. While at Proctor & Gamble, George was one of the top inventors, with 354 granted and filed global patents (201 U.S. patents). He helped develop many of the core platform technologies used in skin care today with numerous products commercialized under the Olay, Bain de Soleil, Clearasil, Noxzema, and SK2 brands. He has also contributed to the development of numerous products sold under the Pantene, Crest, Pampers, Vicks, and Tide brand names. Elizabeth Boon, PhD, Chemist & Technical Consultant, is an Associate Professor of Chemistry at Stony Brook University. Research in her laboratory focuses on understanding nitric oxide signaling in bacteria from a molecular, to a community-level, and employing this new knowledge to advance human health, prosperity and welfare. She received her PhD in Chemistry from the California Institute of Technology in 2002. From 2003-2006, Dr. Boon was a NIH Postdoctoral Fellow at the University of California. In 2006, she was a founding scientist for Omniox, Inc., which is a biotechnology company that develops oxygen delivery therapeutics. In 2011, Dr. Boon was elected a Kavli Fellow by the National Academy of Sciences. Dr. Boon has contributed to 35 peer-reviewed scientific papers, 5 patents and patent applications, and has professional memberships with a variety of scientific organizations, for which she is a regular organizer and presenter. Lorrence H. Green, PhD, Microbiologist & Technical Consultant, is President of Westbury Diagnostics, Inc., a full service organization which works with clients to generate solutions to problems in the bioscience industry. He earned a Ph.D. in Cell and Molecular Biology from Indiana University. He followed this with three years of recombinant DNA and genetic research at Harvard University. Dr. Green has served as Director of New Product Development and Product Support for Analytab Products, a major manufacturer of in vitro diagnostic test kits. During his twelve years with that company, he invented and manufactured over 40 diagnostic test kits. In addition to running Westbury Diagnostics, Dr. Green routinely gives lectures at four universities, and has co-edited the recently released “CRC Practical Handbook of Microbiology, second edition”. Copyright Kantian Sciences Corporation 2017, All Rights Reserved.